The Obstetrics and Gynecology Department of Ad-din Barrister Rafique-Ul Haq Hospital has started a month-long free treatment programme on Saturday. 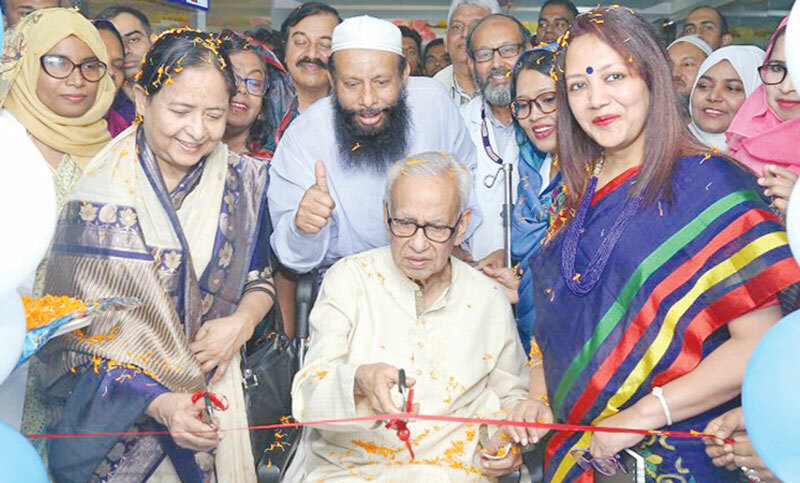 The inauguration ceremony was held on the hospital premises in the capital’s Postogola area. Barrister Rafique-Ul Haq, chairman of Ad-din Foundation, was present at the event as the chief guest. Ad-din Foundation executive director Dr Sheikh Mohiuddin, Ad-din Foundation medical education and regulatory affairs director Dr Md Anwar Hossain Munshi, Ad-din Women’s Medical College principal Dr Afiqur Rahman, obstetrics and gynecology specialist and professor of Ad-din Women’s College Dr. Anwara Begum, Director of Ad-din Foundation-run hospitals Dr Nahid Yasmin, director of Ad-din Barrister Rafique-Ul Haq Hospital Dr Mohammad Jahangir and deputy director Dr Mahfuza Jesmin and other senior officials of Ad-din Foundation were also present. The service will remain open from 8:00am to 8:00pm everyday till April 16. Ad-din Hospital will bear the admission cost of patients, bed services and foods. Only pregnant mothers are eligible to receive the services after competition of registration at a cheap cost.